Whether you live in apartments in Glendale CA or some other type of residence, you’ve more than likely heard of the Alex Theatre. It’s definitely one of the main attractions in Glendale California, and from a historic point of view this beautiful location has a rich and storied history. If you love art, music, and performing arts, then you’ll definitely love this incredible place. They have some of the most amazing art exhibits on display, they regularly host art and music festivals, and there are many wonderful exhibits for patrons and members of the community to enjoy. Have you been thinking about expanding your mind recently? Have you thought about becoming a bigger patron of the arts? As a resident living in Glendale you have a unique opportunity right in your community. You can become a patron of the Alex Theatre and regularly experience the wonderful performing arts and entertainment taking place in this unique environment. So think about everything we’ve shared with you thus far. We’d also like to tell you about the history of the Alex Theatre, the architecture, and everything you can expect from The Alex today. So stick around to discover the truth about this beautiful place. Located at 216 North Brand Blvd. in Glendale, CA, the Alex Theatre has been a staple in the Glendale community for nearly 100 years. In fact, the theater officially opened its doors in 1925 on September 4 to be exact. So they will be celebrating their historic 100th anniversary in less than seven years and you could expect the celebration to be one for the record books. When the theater first flung open its doors in 1925, the company that operated this business was known as the West Coast Langley Theater Circuit. Their main claim to fame was that on a single movie screen, they would share silent movies, plays, and vaudeville performances with their patrons. And this was becoming a very popular way to entertain the masses at this time in history. Silent movies particularly were really taking off during this era. The name of this historic theater company comes from Alexander Langley. He happens to be the son of CL Langley, who owned the West Coast chain of theaters like the Raymond Theatre in Pasadena as well as the Orange Theatre and Orange California. The interesting thing about the Alex Theatre in the early days is that it had lots of lavish and gorgeous architecture, which we will touch upon more below. But they added another interesting piece of history when the theater first opened in the early days, which is the Wurlitzer pipe organ when they had it installed. The beautiful thing about installing the pipe organ was they had a regular organist playing throughout the theater each night. During the silent movies, the organ accompaniment really added additional suspense and thrills to the silent movies that you wouldn’t necessarily have if the instrument wasn’t there. The pipe organ was an important piece of equipment that helped improve movie screenings during the silent movie era. Some of the more popular movies throughout history also had their preview screenings in The Alex, which means some very popular and interesting guests made their way to the theater. Bing Crosby visited The Alex in 1944 for the premier of his movie Going My Way. Also in 1944, Elizabeth Taylor, Don Ameche, and Alice Faye were in attendance for the premier of National Velvet. The Alex started showing the most popular blockbuster films beginning in the 1950s. Ben Hur played in the theater in 1959 and in 1984 they showed Indiana Jones and the Temple of Doom. In 1993, the Alex Theatre was completely renovated at this time. They restored much of the original decorations and wall painting. The theater needed these renovations and this was definitely a great idea that continues to pay dividends to this very day. The Alex Theatre’s architectural design – known as the Alexander from 1925 to 1939 – was specifically designed by an architectural firm named Meyer & Holler. They owned the entire design until 1939, when Charles R Selkirk and Arthur G Lindley added the front addition to the magnanimous theater. On a side note, Selkirk and Lindley also designed the Hotel Glendale if you’re looking for additional history about the area. The interior design of the Alex Theatre is very unique and distinct because it has an Egyptian and Greek neoclassic cultural look added to the design elements. The exterior of The Alex was redesigned in 1940 by S Charles Lee, who designed the Academy Theatre in Inglewood and the Los Angeles Theatre in downtown LA. The contributions he made to the theater include the 100 foot tall neon light covered art deco column. This column also has a big spike on top so it really stands out. The theater’s official new name – The Alex – was also very noticeable on the new neon angled marquee. This theater is still very popular and one of the biggest cultural phenomenons in the Glendale area. It’s officially known as the Alex Theatre Performing Arts and Entertainment Center and they have about 250 events each year and more than 100,000 people visit this special place on an annual basis. They play many different types of movies and concerts in the theater. You can experience classical theater, contemporary concerts, fundraising, special events, comedy, dance, TV and film production, and much more. 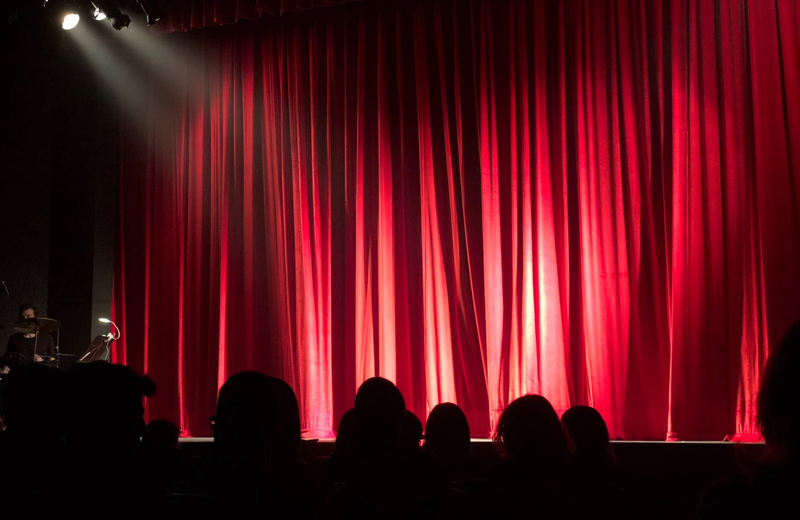 This theater is truly a versatile sight to behold and one you will definitely appreciate if you’re looking to experience the arts in Glendale CA like never before.